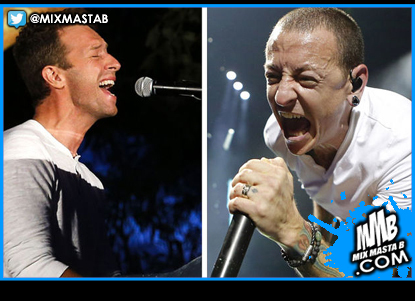 Coldplay frontman Chris Martin performed a touching tribute to the late Chester Bennington with a cover of Linkin Park's "Crawling" at the band's first stop on their North American tour. Bennington killed himself at his home outside of LA, he was only 41 years old. The late singer struggled with depression and drug abuse and battled his demons with his vulnerable and candid lyrics. Linkin Park's Mike Shinoda posted a video of the performance with the caption: "Thank you @coldplay 🙏🏽 It sounded beautiful." Coldplay will be performing at the upcoming iHeartRadio Music Festival in Las Vegas on September 22nd and 23rd alongside The Weeknd, DJ Khaled, Chris Stapleton, Lorde, Kings of Leon and more. Watch footage of Chris Martin's cover of "Crawling" below.